There’s nothing better than wrapping yourself up in a sumptuously plush, wonderfully soft and beautifully fluffy towel after a relaxing bath or shower (… it’s also your daily companion so it pays to choose well!). 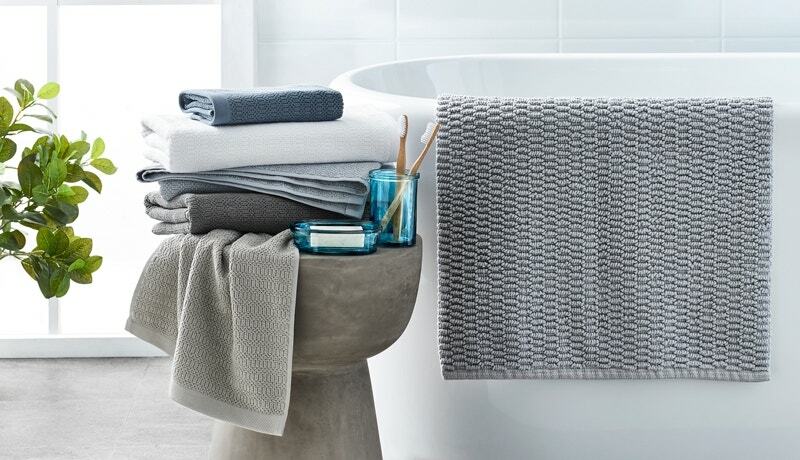 But, how do you choose which towel is best, not just for you, but also your bathroom style? While finding the perfect towel is ultimately all about touch and feel, the colour, texture and style should be equally considered. But with different varieties to choose from, separating your Egyptian cotton for your bamboo blend and pure cotton can get anyone in a spin! Naturally soft and absorbent, cotton is universally acknowledged as the fibre when it comes to making towels. All our towels are made from combed cotton, which simply means that the fibres are combed to remove any shorter fibres, leaving behind the longest and strongest fibres which are spun into yarn and then woven into a more durable and absorbent towel that is less susceptible to linting. 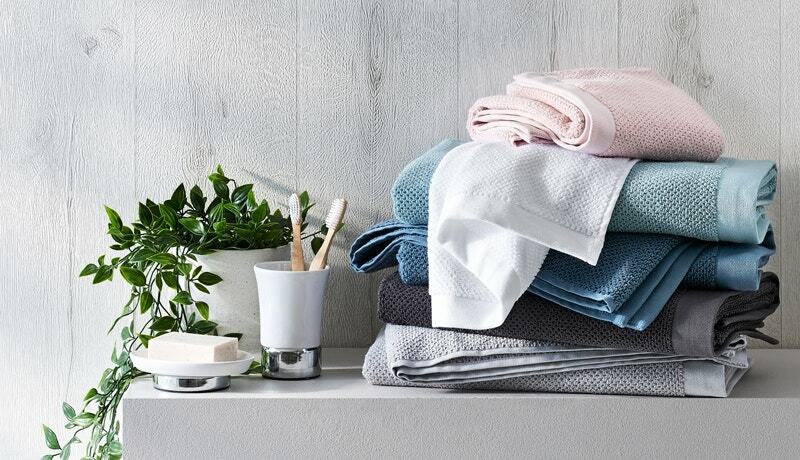 Pure cotton is the most popular choice for towels – easy to care for and perfect for everyday use, our range of pure cotton towels provide high absorbency and softness and offer the widest choice when it comes to colour, style and most importantly, texture! 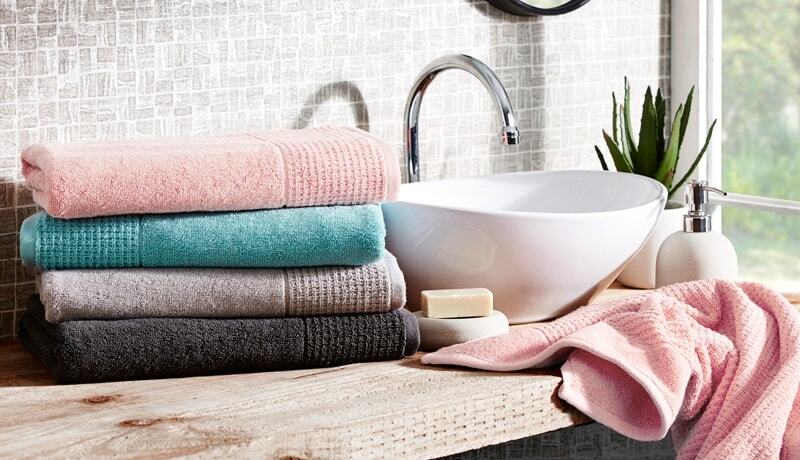 If it’s texture you’re after, then our Merida towels are for you! This modern geometric pattern is produced by weaving an alternating drop pile and high pile pattern, giving this towel a defined textural look. With a pile that is plush and absorbent, it will maintain its strong textural appearance after washing and tumble drying. Our Wythe towels are perfect for those who want both texture and timeless style. Add just a hint of texture with the smooth, even pile surface and waffle border of our Wythe towels, or opt for ultimate texture with the all-over waffle and plain border finish of our Wythe Waffle range. Mix and match both styles for an individual and versatile look! Boston’s simple rib texture, borderless design and wide range of colours and towel sizes make this range an everyday favourite. 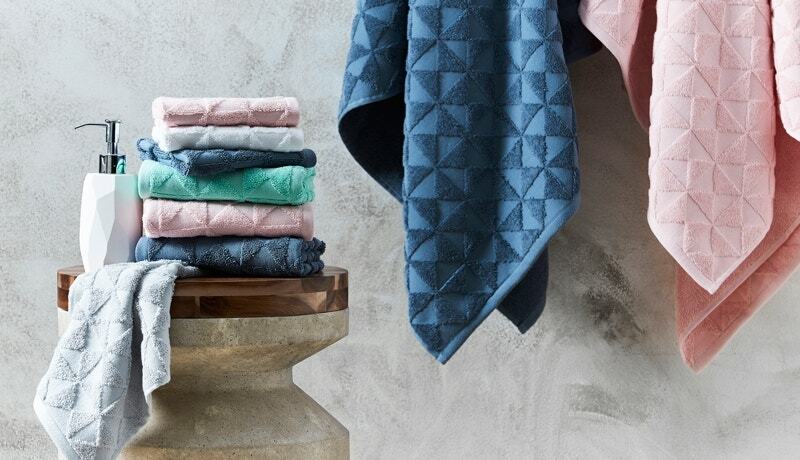 The perfect combination of subtle texture, a contemporary colour palette and wide choice of sizes make our range of Windsor towels an effortless choice for any modern home. Expertly woven in Turkey from the finest cotton, this everyday range beautifully maintains its handle and appearance after washing and tumble drying. Introducing our newest towel in the range: Esperance. Rivalling the excellence of Egyptian cotton, Australian cotton is one of the highest quality cottons produced in the world. The Australian cotton used in our Esperance towels is grown under the Better Cotton Initiative using less water and chemicals, resulting in a more environmentally sound cotton product. The yarn is spun from a long-staple fibre, resulting in greater absorbency, less shedding, stronger resilience and a wonderfully soft handle. 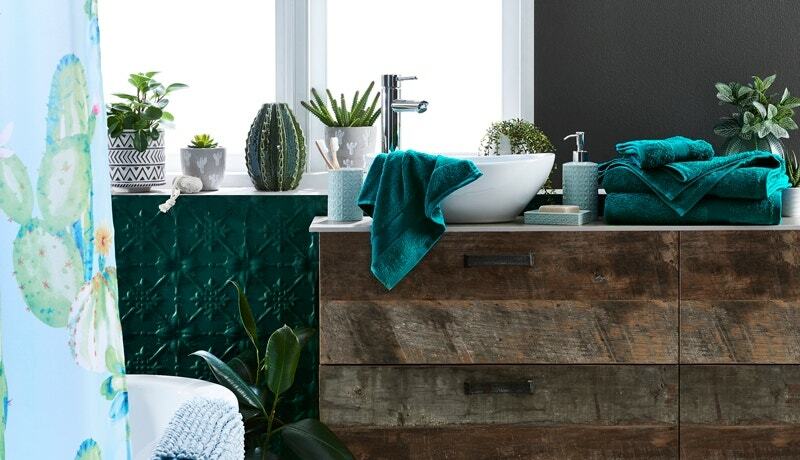 You’ll love the feeling of wrapping yourself up in luxury while adding the right amount of texture to your bathroom! Considered to be the best in the world, Egyptian cotton is known for its excellent lustre, durability, supreme absorbency and luxurious softness and is prized for the quality of its long staple fibres. Our range of Egyptian Indulgence towels will not disappoint, as these towels are made from the finest, long-staple and certified, Giza 86 Egyptian cotton (the highest grade cotton produced in Egypt). This yarn is expertly woven in Turkey (home to the finest towel makers in the world) to produce a towel with a longer, plusher pile and greater weight component per square metre. The end result is an extraordinary towel that offers the most luxurious drying experience. Innovatively transformed into a luxurious yarn, bamboo is fast becoming a favoured component in towel production. Expertly made in Turkey, our premium Bamboo towel range has been crafted using natural cotton and bamboo. Renowned for its silk-like softness and beautiful lustre, bamboo is naturally anti-bacterial and mould resistant, offers excellent moisture wicking and has inherent hypoallergenic properties. Our Bamboo towels perfectly maintain their silk-like softness after washing and tumble drying. Perfect for those who love premium luxury at an affordable price, our bamboo towels can also be enjoyed by allergy sufferers and families alike. Of course, they are a few more things to consider other than feel, such as how many and what size towels do you need? Think about how many people live in the house and how many bathrooms there are. 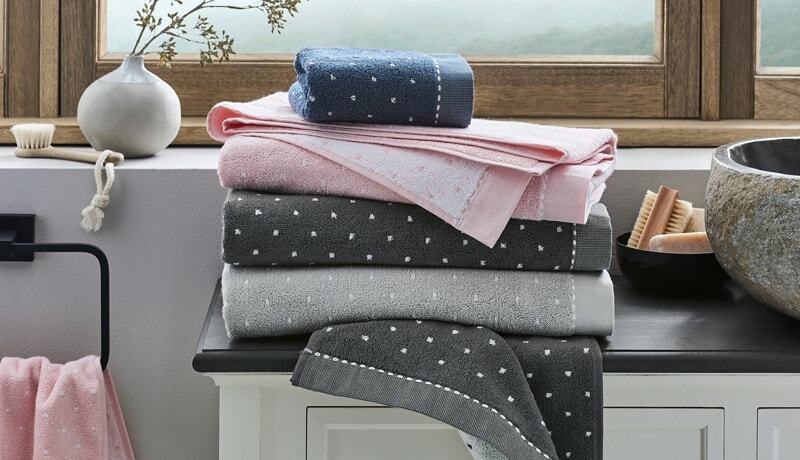 We recommend having at least two sets of towels per person so you always have fresh towels on hand while the other set is being washed and dried. Towels come in a variety of sizes, and while most opt for a standard bath towel for everyday use, some prefer a bath sheet which allows you to fully wrap yourself up. Hand towels are also available with every towel range. Lastly, don’t forget your bath mat as a must have in any bathroom. *INSIDER TIP - Hand towels should be changed more frequently than bath towels as they are getting used more often and have less time to dry in between each use. 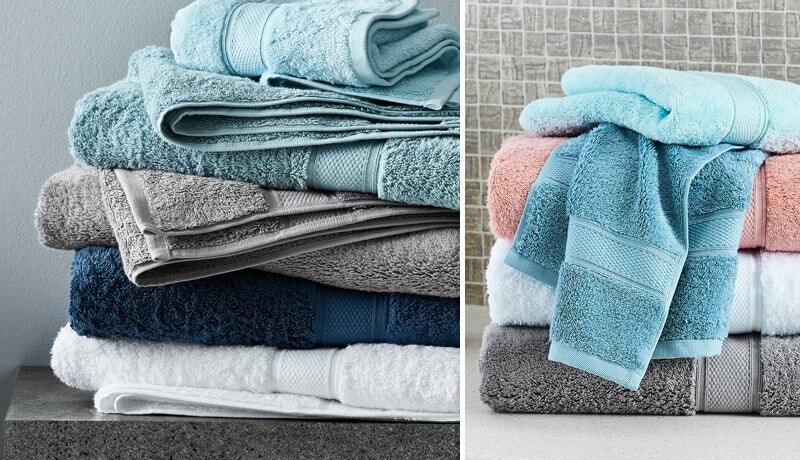 We recommend purchasing at least two hand towels for every set of bath towels – the same can be said for bath mats. The beauty of working in these ratios is you’re given complete freedom to mix and match colours, patterns, textures and styles. 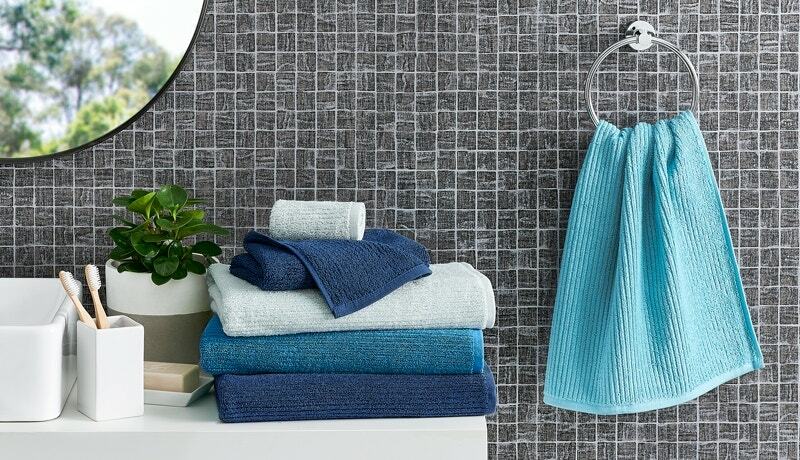 Towels can add that perfect finishing touch to your bathroom and are easily (and affordably!) interchangeable, giving you the freedom to update your look and bathroom style without the need to renovate! Introduce some colour, texture or pattern, focusing on just one element, or make a statement by combining all three! Our favourite way to inject some personality and change into the bathroom is to refresh the look as the seasons change. 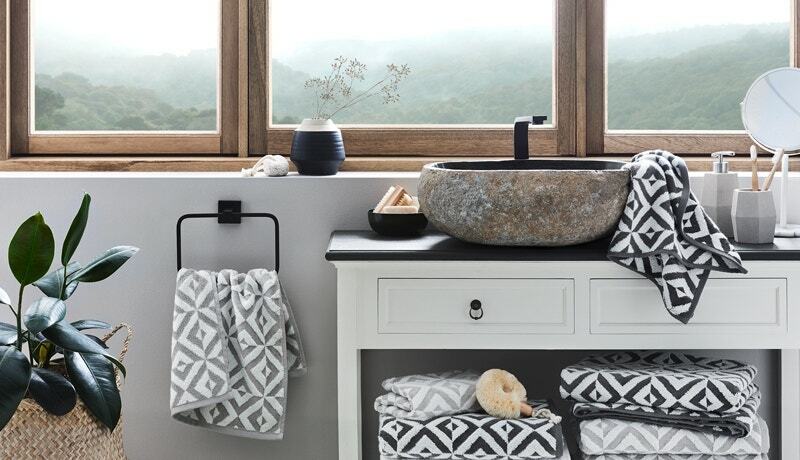 Sticking to seasonal updates also serves as a great reminder when it comes time to do a yearly spring clean – out with the old and in with the new – you (and your bathroom) deserve a refresh! 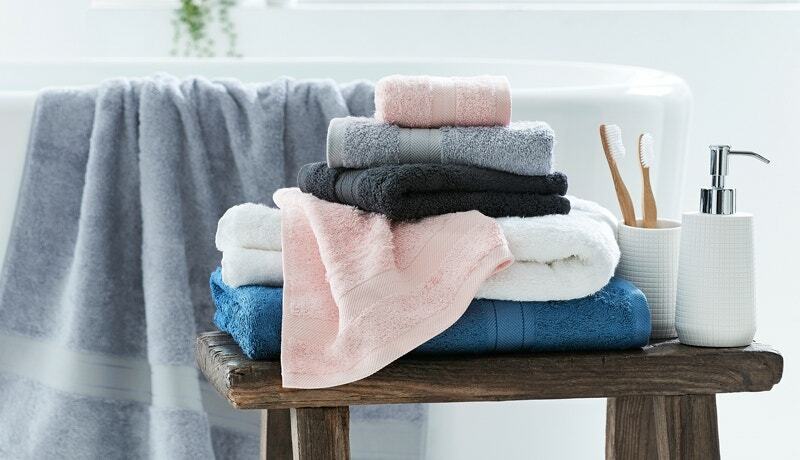 *INSIDER TIP - Our Dorothy Dot towels offer the perfect balance of colour and pattern for those wanting a more classic, subtle and trans-seasonal choice for their bathroom. You’ve spent all this time carefully choosing which towel is best for you, now you want to be able to enjoy them, right? - Wash prior to first use to help improve absorbency and reduce any lint. - Despite the common perception on the benefits of using fabric softener, we recommend to avoid using fabric softener when washing towels as it reduces their absorbency, appearance and performance. - Tumble drying your towels is the best way to rejuvenate the pile, keeping it full, open and absorbent. Simply toss your towels into the tumble dryer, either straight from the washing machine or while they are still damp after line drying, on a warm heat setting. - Finally, be careful not to expose your towels to certain cleaning products such as bleach as well as cosmetics, hair dyes and facial beauty products that contain the chemical benzoyl peroxide as these damage the fibres and can remove the colour from your towels.